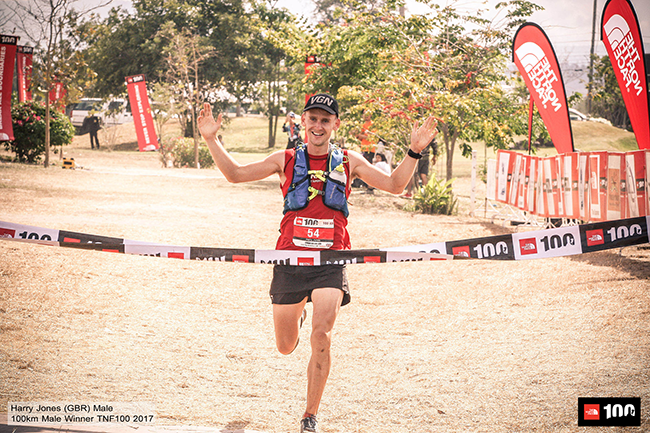 Harry Jones (GBR) crossing the finish line as 100km winner at The North Face 100® Thailand 2017. BANGKOK, Thailand – A record line-up of 3,200 athletes from around the world took part in The North Face 100® Thailand 2017 on 4th February in Pak Chong, Nakhon Ratchasima. Launched in 2012 when trail running was a little known sport in the country, the event has since grown to become the largest of its kind and is part of the annual Asia Pacific Series. Tough conditions with temperatures exceeding 36 degrees centigrade during the day made for a challenging event for all runners across the five distances – 15km, 25km, 50km, 75km and 100km. With 1,144 runners competing in the ultra distances (50km, 75km, 100km) this year, Thailand's hopes were pinned on Sanya Khanchai (2013, 2014 winner) and Jantaraboon Kiangchaipaiphana in the 100km. Following a break out performance just three weeks before at the Hong Kong 100 Ultra Trail® Race – one of the signature events on the Ultra-Trail® World Tour – where he finished seventh in his first ever solo 100km, Jantaraboon put in an excellent performance at The North Face 100® Thailand to finish second behind Chiang Mai-based Harry Jones (GBR) who claimed the 100km title in a time of 09h 26m 24s. Sanya finished a credible sixth in a field of top talent from 21 countries. In the female division it was a close race for the top spot between Phitchanan Mahachot (THA) and Kylie Ayson (NZL). Previously based in Hong Kong and having trained on the mountainous trails there, Kylie pushed Phitchanan hard but in the searing heat it was the Thai athlete who crossed the line first in a time of 12h 34mins 26secs, with the fast finishing Kylie less than 10 minutes behind. 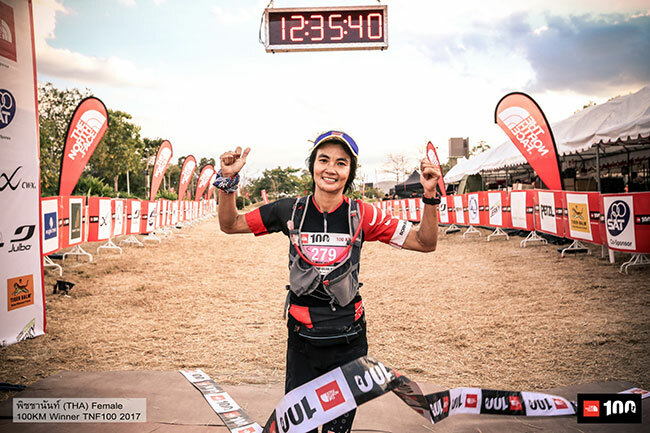 Following 50km wins in 2015 and 2016, Naomi Imaizumi (JPN) stepped up to 75km – new for The North Face 100® Thailand 2017 – this year and asserted her authority again, romping home with a winning margin of more than three hours while Jisub Kim (KOR) placed first in the men's field in a time of 06h 54m 25s. 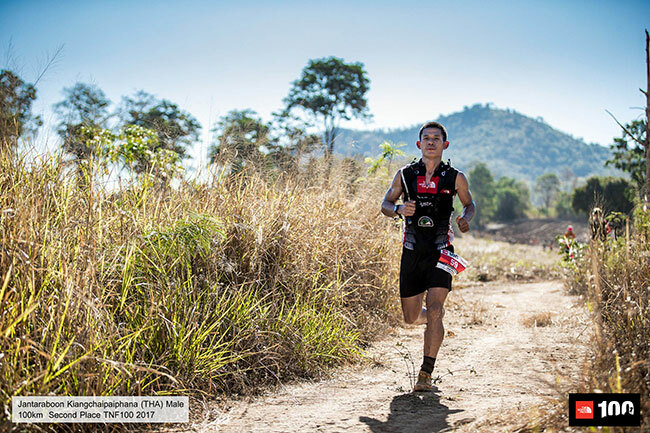 Another breakout performance, this time for Sunimit Ngandee (THA) – training partner of Jantaraboon – competing for the first time at The North Face 100® Thailand, Sunimit took home the 50km title against a top international field. 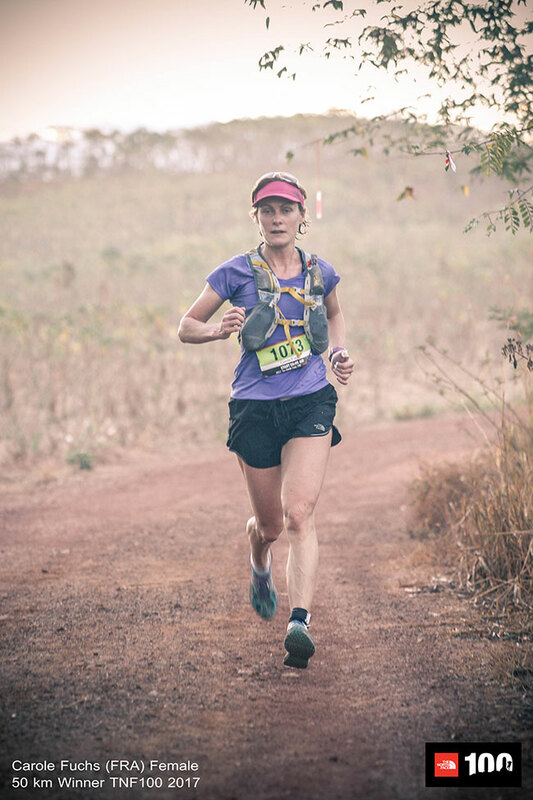 In the female division, Thailand-based Carole Fuchs – also competing for the first time at The North Face 100® Thailand – delivered a crushing performance, finishing one hour ahead of her nearest rival and second overall – less than one minute behind the male winner! The largest fields of competitors were the 25km and 15km distances with 1,137 and 930 runners respectively. Split into waves, there was camaraderie on the trails and some close racing across all the age group categories. In the 25km it was Kritsada Narasavat (THA) and Shiu Yan Leanne Szeto (HKG) who took home the overall male and female titles while Sarawut Ngamsri and Chalita Chuleekeitl won the overall male and female titles in the 15km. Considered Thailand's Ultimate Trail Running Challenge, The North Face 100® Thailand attracts runners from all over the world each year and has put Thailand on the map as a top trail-running destination in Asia. Jantaraboon Kiangchaipaiphana (THA) 100km Male Second Place at The North Face 100® Thailand 2017. พิชชานันท์ (THA) 100KM Female Winner at The North Face 100® Thailand 2017. Carole Fuchs (FRA) 50km Female Winner at The North Face 100® Thailand 2017. Full results are available at www.sportstats.asia.